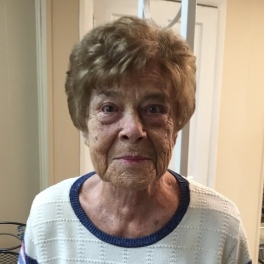 Shirley Allison Baillie, 93, of Zanesville, Ohio and Lake Leelanau, Michigan passed away November 30, 2018 at the Oaks at Northpointe. She was born in East Fultonham, Ohio to Nevil F. and Hope L. Moore on April 29, 1925. She graduated from Lash High School in 1943 and studied at Meredith Business College. Always athletic, she taught swimming and was a lifeguard at Lake Isabella during her teenage years. On June 8, 1947, she married Dr. Forrest D. Baillie. They celebrated their 71st wedding anniversary this year. She was a member of St. John's Lutheran Church. After retirement from his Optometry practice, Shirley and Forrest traveled extensively around the world. They spent their summers in Northern Michigan and winters in Ohio. Shirley was an excellent water skier and the couple took up downhill skiing while in their fifties. They loved the Rocky Mountains and skiing with their children and grandchildren. Shirley was an avid supporter of Ohio State Football and has been a season ticket holder since 1950. She was a member of the OSU Alumni Association and the OSU President's Club. She and Forrest traveled to many away OSU football games and most of the Ohio State University championship football games. Shirley had a special friendship with Dr. Gordon Gee, former OSU President. Together they had two children, Joel (Foy) Baillie of Traverse City, Michigan and Ann (Dr. John L.) Parker of Zanesville. They have four grandchildren, S. Andrew (Barbra) Baillie of Avalon, Michigan, Erin E. (Kevin) Horstman of Circleville, Dr. Lauren A. Parker of Columbus and Dr. Christopher J. Parker of Zanesville. They have five great grandchildren, Joel (Buck), Chandler and Peyton Baillie and Nora and Natalie Horstman. Shirley is survived by her loving husband, Forrest and her children and their families. Also surviving is a dear sister-in-law, Virginia Moore of Stuart, Florida, a very special cousin Elizabeth Ann (Kit) Gibson of New Concord and a niece Julie Moore Oldehoff and nephew Matthew Moore of Stuart, Florida. Preceding her in death are her parents and her brother, Dr. N. Leslie Moore. There will be no calling hours and a private family service will be held with burial at Zanesville Memorial Park Cemetery. In lieu of flowers, memorial donations can be made in her honor to Central Ohio Hospice, 2269 Cherry Valley Rd. SE. Newark, Ohio 43055. The family wishes to thank Primrose Retirement Home for their love and care. The Bryan & Hardwick Funeral Home, 2318 Maple Ave. Zanesville is in charge of the arrangements. To share memories and condolences with Shirley’s family please click on the Guest Book link on this page.